Naw Bway Paw looks out of her windowless thatched bamboo home in Hlaing Bwe Township, Karen State, and remembers the day in 1996 when the Burma Army came and took her land. Naw Bway Paw in a video interview with Karen News describes how she lost her ancestral home and lands. Commander Saw Win ordered Naw Bway to sign a paper confirming that the land was legally not hers she refused even though the soldiers were armed. Naw Bway and the villagers left, but all refused to sign away their land. “I couldn’t sign – I would rather leave. Nobody in the village signed,” she said that without land to farm on, just living day-by-day had was a struggle. The Burma Army under the previous military regime confiscated thousands of acres of villagers land, using it for plantations and to build military camps. In 2012 the current government established a Land Acquisition Investigation Commission to handle the thousands of land confiscation claims made by villagers. Villagers in dispute with the government over land confiscation claim the Land Acquisition Investigation Commission is toothless – it has no decision-making powers. Within months, the Commission had received more than 2,000 claims. Human rights organisations warn that reports of land confiscation are on the rise. A report released by Karen Human Rights Group in May, Truce or Transition? Trends in human rights abuse and local response in Southeast Myanmar since the 2012 ceasefire, noted that report of land grabs in South Eastern Burma were increasing following the signing of a ceasefire between the Karen National Union and the Burma Army in 2011. 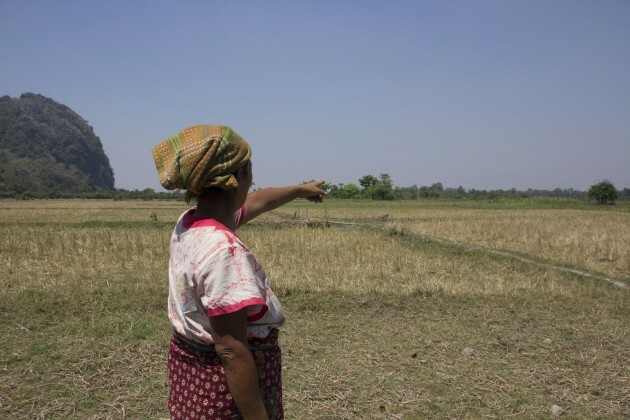 The KHRG report documented that land confiscated by the Burma Army had not been returned while the Government used laws classifying villagers’ land as uncultivated or state-owned without the consultation of locals, often uprooting their lives. In an earlier interview with Karen News, Saw Albert Moo, KHRG’s Field Director, stated that in spite of the cessation in conflict, the lives of many villages had not improved significantly. “The life of villagers that has been impacted by the conflict in staying the same as it was in the past. Their livelihood options, their living conditions, ongoing militarisation (living under heavy army camp activity and soldiers) is still very difficult. Some villagers who been displaced for a long time, still cannot return to their villages,” Saw Albert said.